56.0.2 has been released on the 7th of January 2018. 56.0.1 has been released on the 13th of December 2017. 56 initial release on the 30th of November 2017. IMPORTANT! Waterfox now uses its own profile location! Waterfox now uses its own profile directory. If you have updated from an automatic update, you will get a prompt to import your data to this new location after restarting the browser post update. As much of your data will try to be kept as possible. If you use a different than default location for Firefox, you should be able to just update the profile.ini in the new Waterfox profile location to carry on using that location. What’s new in Waterfox 56.0.2? e10s will now be disabled when using add-ons that aren’t marked explicitly as compatible with e10s. If you’d like to force enable e10s, you can by setting browser.tabs.remote.force-enable to true in about:config. Warning: This may cause the add-on or the browser to behave unexpectedly. Fix default browser check (Thanks to jdunn0). Fix plugin issues due to checking .mozilla instead of .waterfox (Thanks to PhantomX). Fix of various white space issues thanks to jbeich. What’s new in Waterfox 56.0.1? Disabled e10s on older OS X builds to prevent tab crashing. Updated Windows installer to show the MPL 2.0 and fixed executable description and icon. Added back <applet> support for Java plugin users. What’s new in Waterfox 56.0? Waterfox will now remain at 56 for the time being, following the security releases of 59 ESR until it becomes End of Line (Q1 2019). In the meanwhile, a “new” browser will be developed to follow the ethos of Waterfox of customisation and choice, while staying up to do date with the rapidly evolving browser landscape. Enabled e10s by default, some add-ons that aren’t marked as compatible may cause unexpected behaviour. 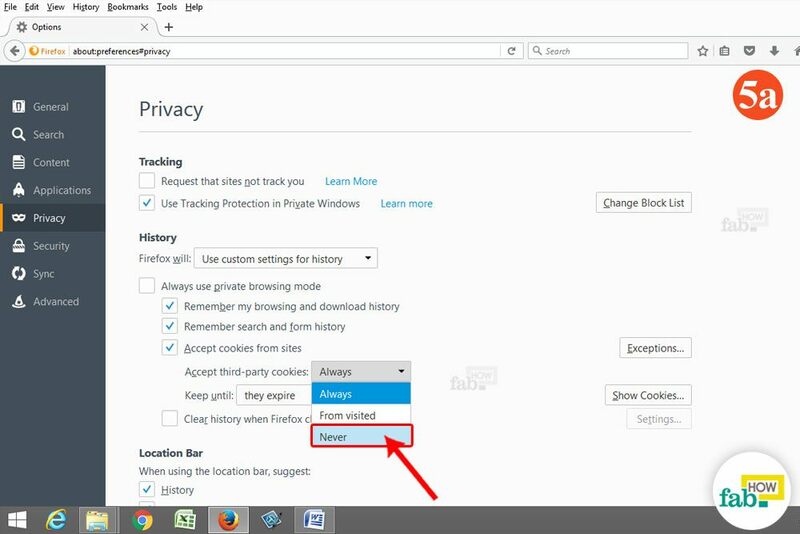 Firefox used to allow you to be notified every time a Web site attempted to set a cookie. You could decide to accept or reject the cookie as well as specify the cookie lifetime and whether to use your choice for all cookies from the Web site, thereby updating your cookie preferences. Help! Some of my add-ons don’t work. What’s coming in the next few weeks? The staging website is available to test at staging.waterfoxproject.org, but still contains various Mozilla-isms. A better Android release as it’s currently in poor form. What features does Waterfox currently have? ATI grows each one of their GPU's till they're ripe enough to produce amazing graphics. NVIDIA fired too many people and they can't keep up with the crops this year. Why would a vet chew up the kitten's foot? WOW a 64bit? I still don't know if i should try it. Cuz it's a modified browser. Kinda sketchy but i await results from others til i try, i applaud you for adding 64bit! Circumstances forced me to go inactive back in 2014. I guess I'm back for 2016, but won't be active much! Cheers! Wow, that is awesome I think I'll be switching to waterfox pending 64-bit plugin support for 1 or 2 things such as Silverlight that I will probably find easily! Awesome! will be downloading and importing my firefox profile soon! Sorry my mistake. Updated the thread with the missing file required. 2 Attachment(s) What am I doing wrong? R9 280?